Callas believed that two different women lived in her: Maria, the woman who longed for a normal life; and Callas, the public figure and icon, from which an adoring public expected a transcendent experience every time she stepped onstage, and which could quickly become outraged when they felt she had given them anything less. Through Volf’s intimate portrait of Callas, we see that some commonly held beliefs about Callas, notably her reputation as a “tempestuous” diva, have no basis in fact. MARIA BY CALLAS revisits many of the most notable controversies of Callas’s life, from the “Rome Cancellation” to her conflict with the Metropolitan Opera’s Rudolf Bing, and demonstrates that, while Callas was a demanding perfectionist, she was neither capricious nor someone who made trouble for its own sake. The film also sheds new light on Callas’s relationship with Aristotle Onassis, the supreme love of her life. Instead of trying to sum up her vast musical repertoire through countless clips, Volf instead presents some of her most important arias in their entirety. 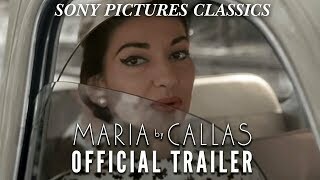 Each aria is chosen for its significance for the period in Callas’s life during which she sang them. These arias include: “Casta Diva” (“Norma”), “Love is a Rebellious Bird” (“Carmen”), and “I Lived for Art, I Lived for Love” (“Tosca”). Through hearing these full versions of Callas’s performances, the audience is able to experience a direct, unmediated response to her music, as the audiences of her time did. MARIA BY CALLAS is a loving portrait of one of history’s most extraordinarily talented women, told in a way that is revelatory, unprecedented, and authoritative. Mia Riker-Norrie, General Director of Opera Theatre of Montclair, will lead a post-viewing discussion along with soprano and stage/film director Sabrina Palladino.